While performing I was occasionally asked if I would give guitar lessons. I ultimately decided to pass along what I've learned and in 2009 began giving lessons. I only teach blues guitar and specialize in Mississippi Delta & Chicago style blues. I give one hour lessons in your home at a mutually convenient time. My fee is competitive. Call or send an email to schedule a class or make any inquiries. 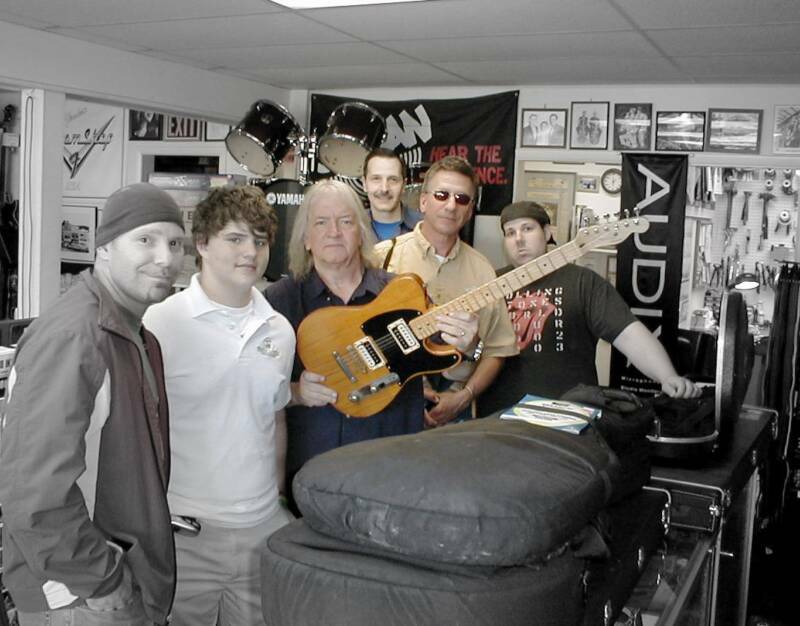 Seymour Duncan holding a guitar once used by Jeff Beck to record "Blow by Blow"